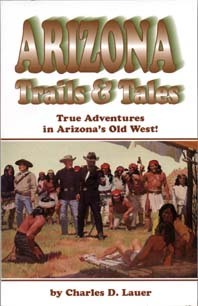 True Adventures in Arizona's Old West! Exciting stories of Arizona's history and historical figures. Travel The Black Canyon Stagecoach Trail, get a glimpse into The Bizarre Career of Deputy Marshall Joe Evans and experience Life and Death in the Desert. By Charles D. Lauer.